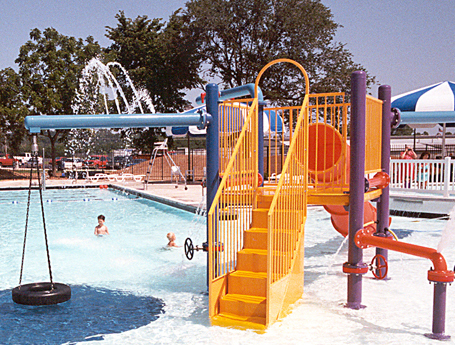 Counsilman-Hunsaker provided aquatic design services for the development of a new family aquatic center for the community of Cassville, Missouri. A shallow wading pool with showers cascading from a mushroom-like umbrella provides toddlers a safe place to swim and play. The fitness lap pool with 1-meter diving offers a rigorous swim, fun in the pool, or a good physical workout. And scattered throughout, striped shade umbrellas provide lounging and shade for rest and relaxation.